It has been praised for its portrayal and representation of East Asians and it is the number one film across the U.S. and Canada right now. But not everyone is entirely on board with Crazy Rich Asians, the new Hollywood film which features an all-Asian cast. The romantic comedy tells the story of an Asian-American woman who gets a culture shock after meeting her boyfriend's ultra-wealthy family in Singapore. 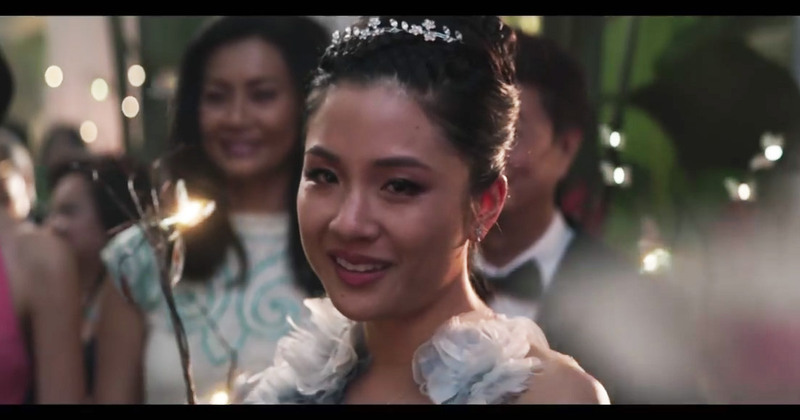 Starring American actress Constance Wu and British-Malaysian actor Henry Golding, it is set largely in Singapore and the U.S..
"This shows — once again, with emphasis — that true diversity matters," Brad Simpson, the film's producer told the New York Times. But in the process of representing East Asians, did it throw South Asians under the bus? Many seem to think so. "It portrays Indians in Singapore very negatively, as guards and servants. The whole audience laughed at the Sikh guards for being strange, weird, and creepy, and this movie perpetuates the East Asian hegemony and racial privilege Chinese-Singaporeans have over Indians, Malays, etc," wrote one cinema-goer on Reddit yesterday. They added: "I understand that not every film can represent everyone, so I'm not demanding that a film featuring East Asians has to have a fleshed out South Asian or Indian person as a main character. But I wish it didn't perpetuate stereotypes of Indians as being low-class, servants, and weird when that's not an accurate portrayal of either Indians or Singapore. It could have taken more care in that regard. Even my Chinese-American film thought the way Indians were portrayed was tacky, one-dimensional, stereotypical, etc." A more broader attack on the film came from Sangeetha Thanapal, a prominent anti-racism activist from Singapore, who said the state is "incredibly racist". "Why should Western Chinese representation come at the expense of minorities in Singapore? Why is it that so many POCs in America, Europe and Australia lack such compassion for the suffering of minorities in the Global South?" she wrote in a FB post that has gone viral. "If a movie was set in NY and it only featured white people, you’d call it racist. This is set in Singapore, a country where already Chinese people are the only ones who are visible and represented, and where Chinese people hold all economic, social and political power, a state of affairs this movie perpetuates. Yet, this is perfectly all right for many of you." And its not just South Asians criticising the film. "[The film] represents the worst of Singapore," said Ian Chong, a political scientist at the National University of Singapore, "Erases minorities. Erases the poor and marginalized. All you get are rich, privileged ethnic Chinese." On Reddit another Chinese American agreed: "I'm Chinese American and I agree with you. I was kind of offended too for South Asians." Another South Asian took a more sanguine view: "I feel like the film and the discourse around has shown that people, both Asian and non-Asian, don't think of South Asians when it comes to Asian cultural issues in the US and instead as a different group. I don't think of this film as a win for South Asian-Americans, but I don't think it was ever meant to be a win for South Asian-Americans nor do I feel like it was discussed as one." "'Offended' is a strong word. I noticed it, but I wasn't put off by it. I read the first book and saw the movie. I never expected there to be substantial representation of Indians in the film because there was hardly any in the first book. Not all films are meant for everyone. Enjoy it (or don't. ); but I didn't think there were matters of betrayal here, to be honest." The actor Constance Wu herself admitted the film wasn't likely to please everyone. "I know CRA won't represent every Asian American. So for those who don't feel seen, I hope there is a story you find soon that does represent you. I am rooting for you. We're not all the same, but we all have a story," she told the NYT. For now, South Asians will have to carry on looking for better representation in Hollywood.